List at: 100 Notable Books of 2013 – NYTimes.com. Dystopias are still alive and well: Orwell for the internet era. 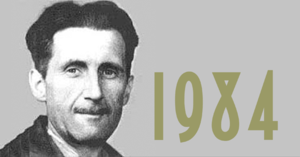 George Orwell: English Rebel by Robert Colls – review from The Guardian. 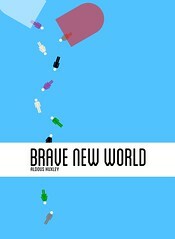 Some recent discussion of Aldous Huxley’s Brave New World (part of the MA course ‘ Literature and the Meaning of Life’). Recommendations of the best dystopian novels about banned books. George Eliot, is frequently recognised as the greatest of the Victorian novelists. Amos failed to touch the spring of goodness by his sermons, but he touched it effectually by his sorrows; and there was now a real bond between him and his flock. The secret of our emotions never lies in the bare object but in its subtle relations to our own past: no wonder the secret escapes the unsympathising, who may as well put on his spectacles to discern odours. Lydgate being consulted by Casaubon on his illness: ‘He was at present too ill-acquainted with disaster to enter into the pathos of a lot where everything is below the level of tragedy except the passionate egoism of the sufferer’. Meaning Is Healthier Than Happiness – Emily Esfahani Smith – The Atlantic. BBC News – Can we make ourselves happier?. Some recent research on happiness that also deals with the meaning of life. The Silence of Animals by John Gray – review | Books | The Guardian. The relationship between happiness and a meaningful life are discussed in: There’s More to Life Than Being Happy – Emily Esfahani Smith – The Atlantic. In semester 2 I am giving an MA course on ‘Literature and the Meaning of Life’.